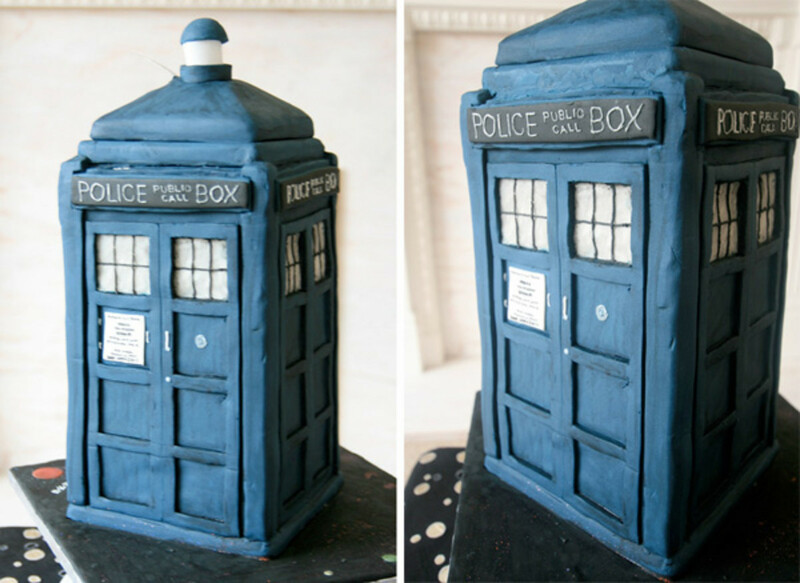 A tardis wedding cake is perfect for fans of Dr. Who! What happens when a nerdy guy and a geeky girl get married? 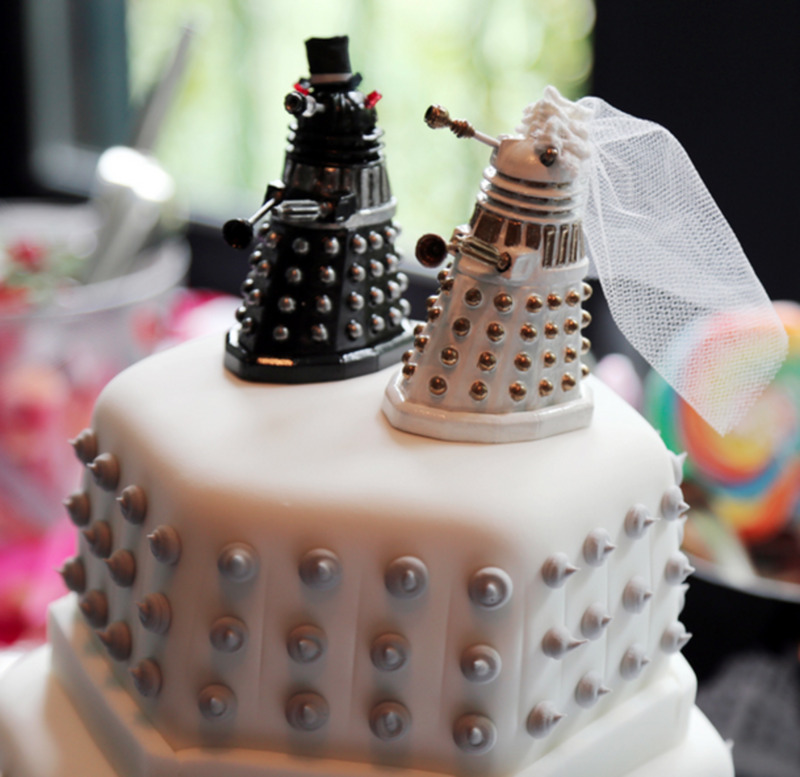 Well, they nerd up their wedding with a themed wedding cake! Whether the couple shares a passion for computer science, video games, Star Wars, Star Trek, or role-playing games such as Dungeons & Dragons, incorporating a nerdy theme in a wedding cake is obviously a blast! 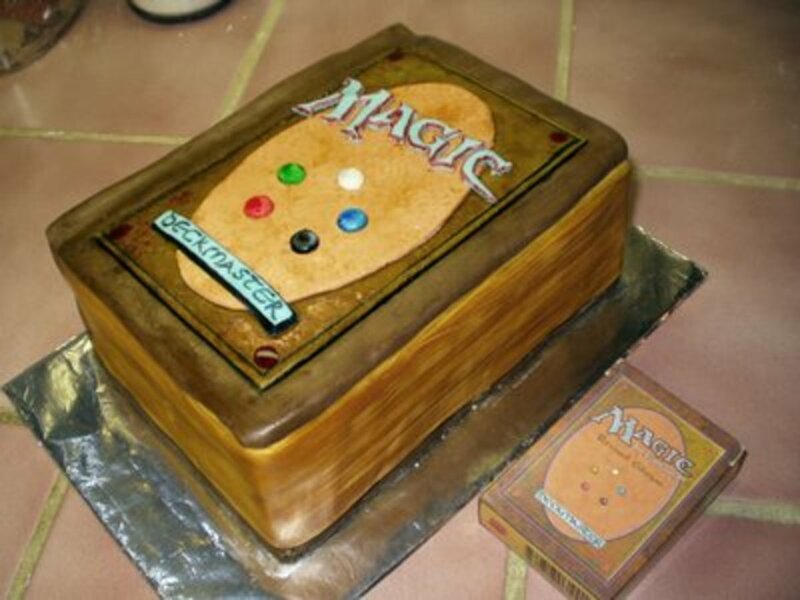 Of course, nerds have birthdays, too. 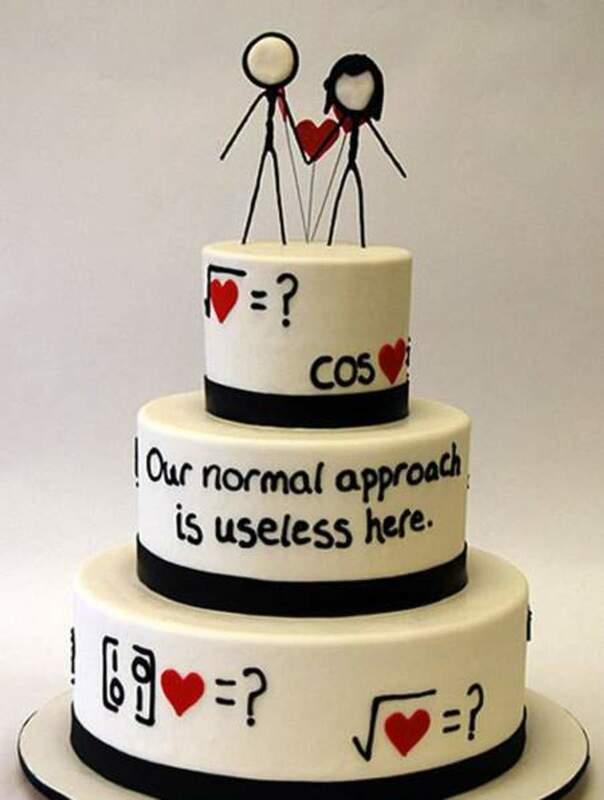 In fact, there is probably a higher chance that you'll be looking at nerdy cakes for a birthday than a wedding. (Okay, I admit, that wasn't nice.) But hey, you should have more birthdays in your life than weddings, right? This is a collection of some of the geekiest cakes that have ever been made. The cakes span across a number of nerdy niches. Some of these cakes are REALLY creative and some just make you wonder why. Either way, these cakes are a nerd's dream come true. I just hope no-one is dressed as an Ewok or as Darth Vader at any of these parties! This cake is pulled right from the XKCD comic: Useless. While this particular comic does not contain XKCD stick figures, this cake makes wonderful use of XKCD figures to create a perfect cake topper. Pretty awesome, if you ask me! 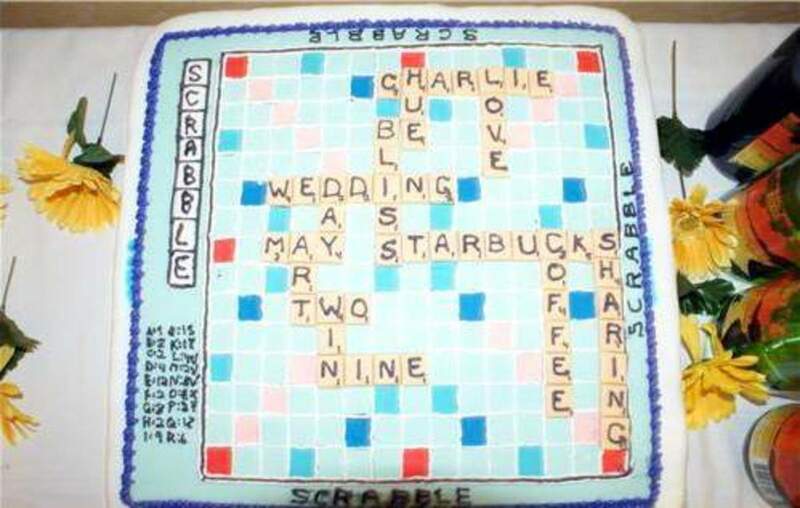 Scrabble fans will love this sheet cake designed to look just like a Scrabble game board. The wording appears to contain the date of the wedding, the name Charlie (perhaps the groom? ), and something about sharing coffee at Starbucks. 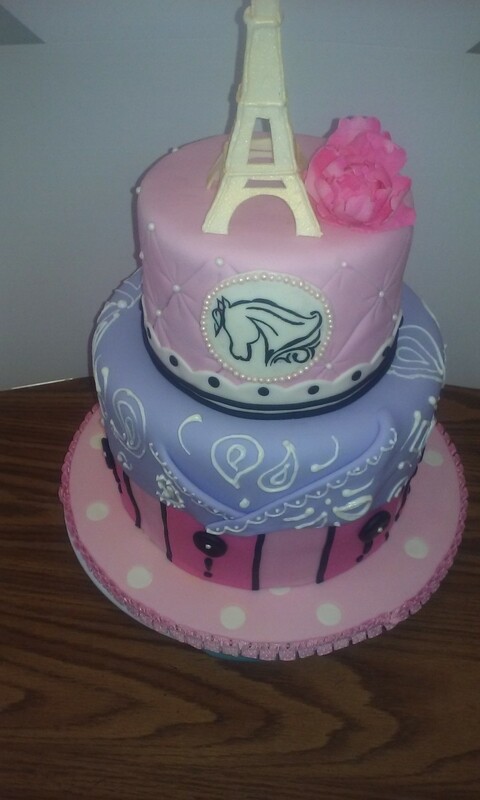 This cake is a really creative way to convey a message while making adding a lot of fun into the mix! I'd like to see someone do this with Boggle! 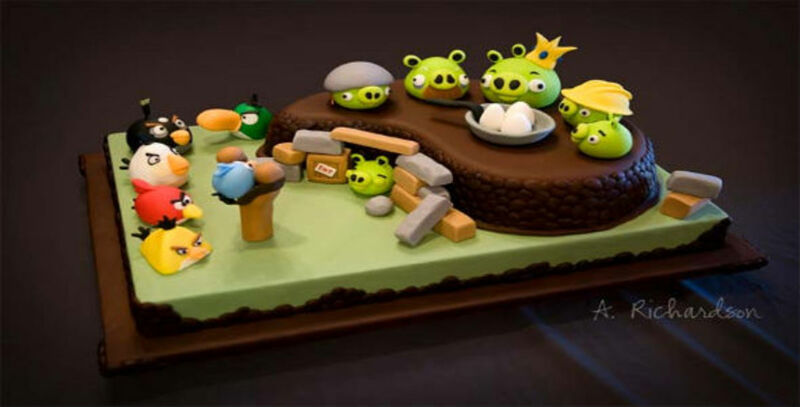 This Angry Birds cake is just plain awesome! The cake is beautifully designed and everything looks 100% perfect. It's not like some of those Mickey Mouse cakes that you see where Mickey looks creepy and has a weird shaped head. You've gotta' love this one! 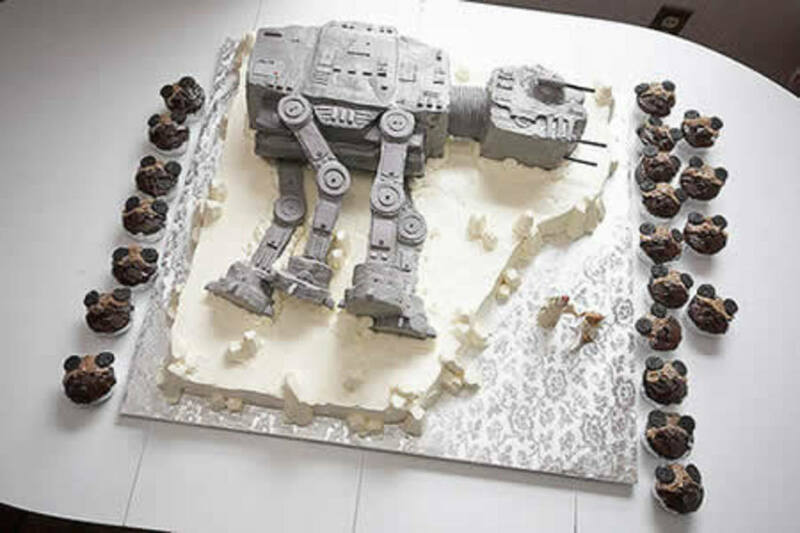 An AT-AT wedding cake, complete with matching Ewok cupcakes, is a dream come true for anyone who is a Star Wars fan! 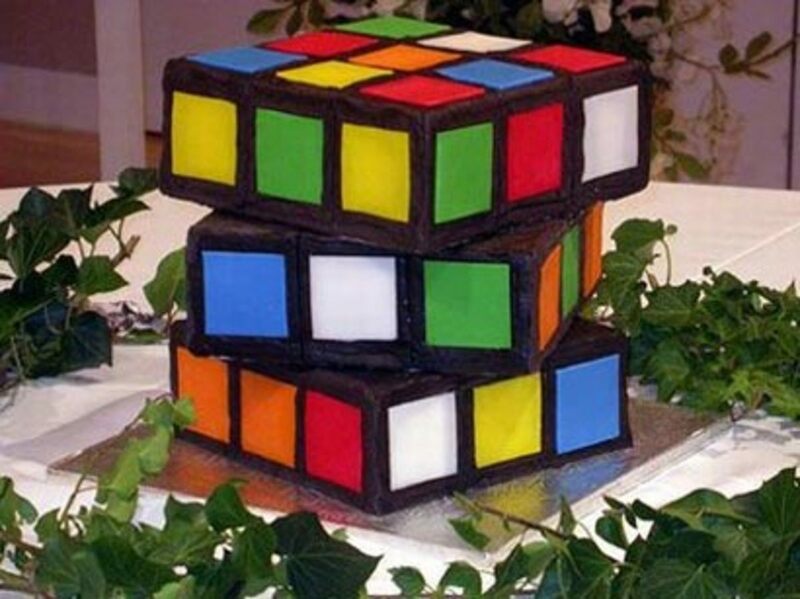 A Rubik's cube cake is perfect for any puzzle-loving geeks! The colors on the cube are perfect. I'm sort of wondering if the colors on the cake are in an order that would allow it to be solved if it were a real cube... Nobody likes a sticker-peeler! 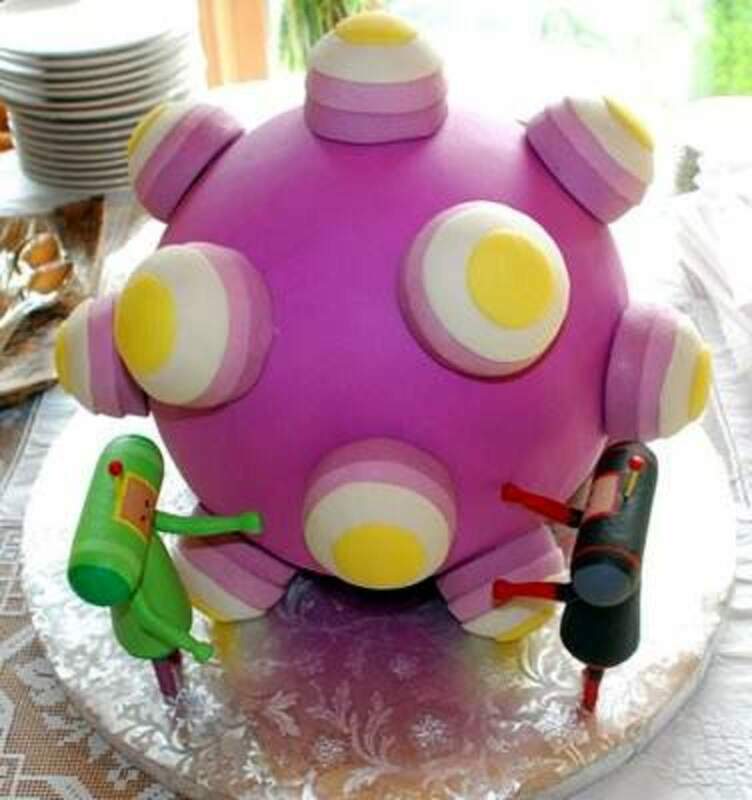 This Katamari cake is amazing! I would be tempted to design it in such a way that there was something stuck to it, but would probably go over-board! Pretty good idea to keep it simple so people know right away that it's from Katamari and not just a ball made up of random things! Wow, part of me kind of hopes that this wasn't actually used for a wedding. 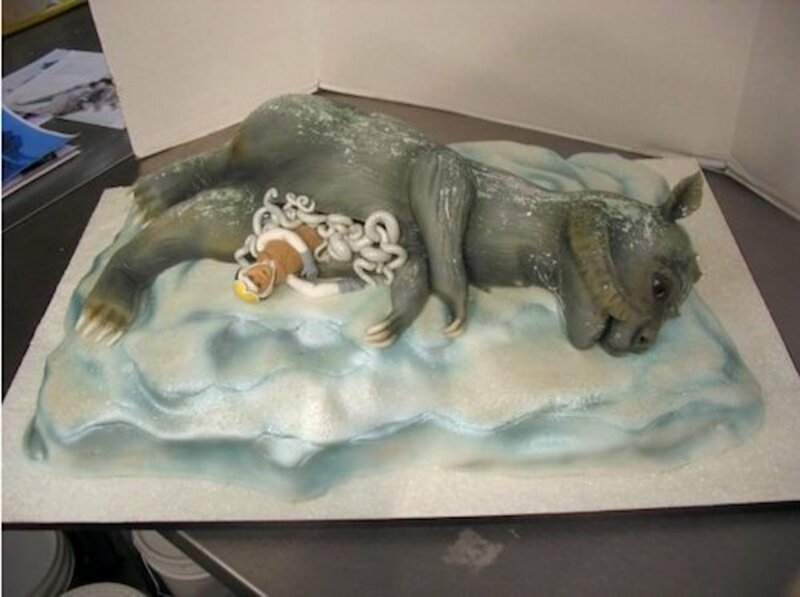 While it's a cool idea to have a cake that features Luke Skywalker keeping warm in the guts of a dead Tauntaun, it's kind of morbid and really just kind of gross. Tons of points for creativity, though! Awesome usage of wafer cookies and rolos to create an Intel motherboard cake. It really just doesn't get much nerdier than this! Love it! 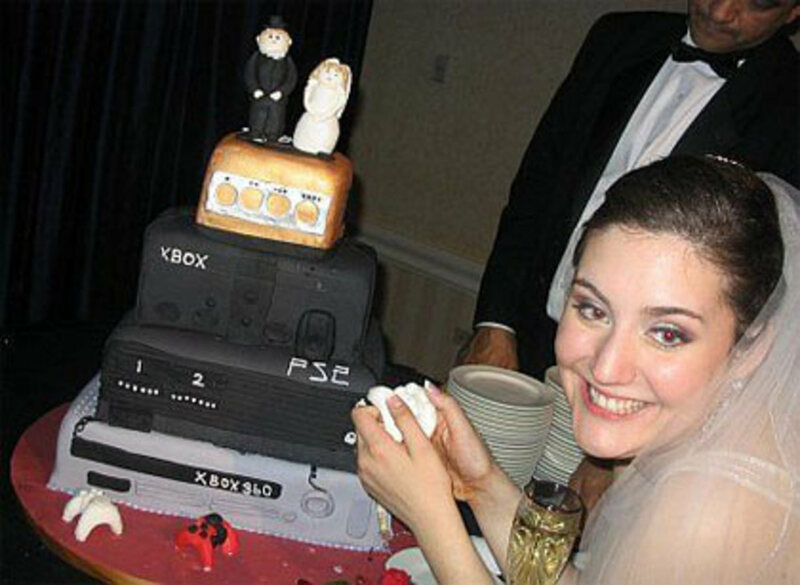 A wedding cake for programmers. 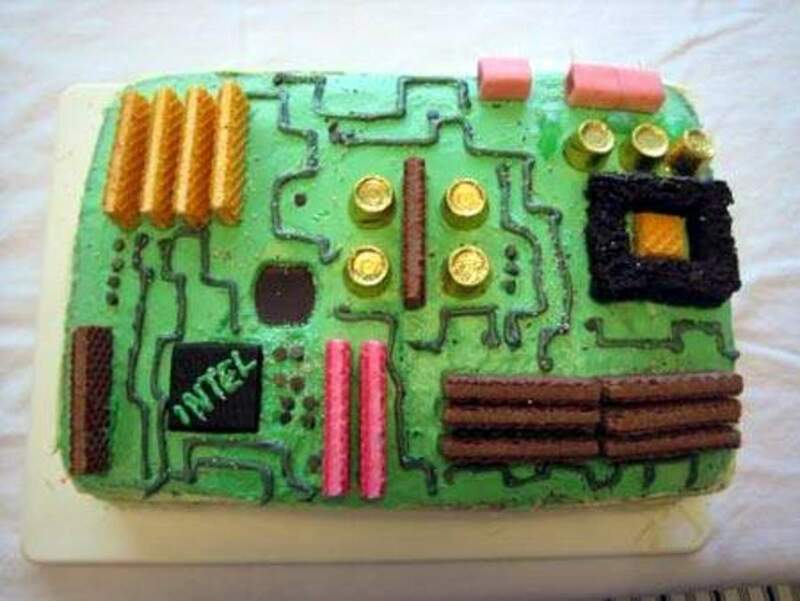 Okay, maybe it does get nerdier than the motherboard cake! 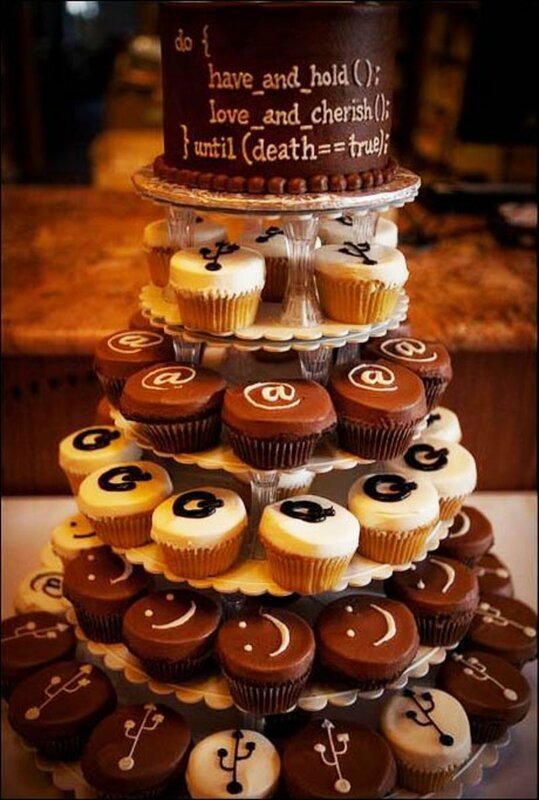 This pseudo-code cake is absolutely fantastic and the equally nerdy cupcakes on the lower tiers are perfect. Whoever designed this cake deserves the Turing Award! 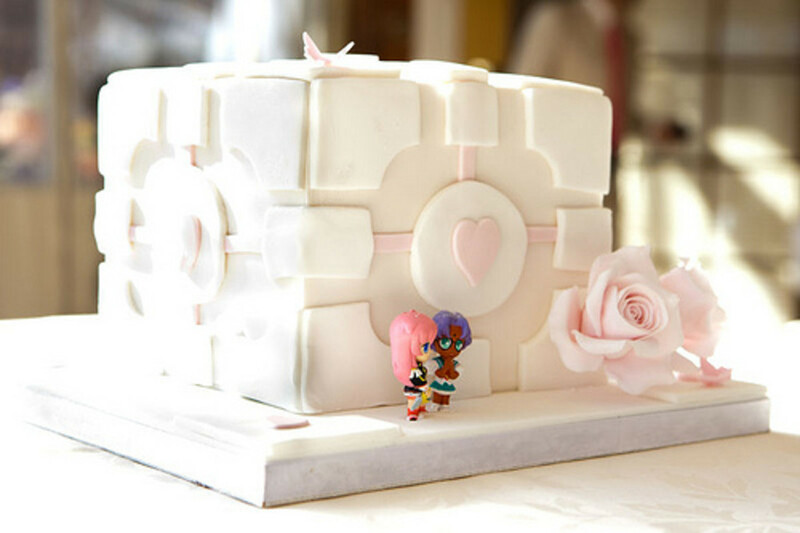 I'm not sure what's with the anime figurines in the front, but a companion cube wedding cake from Portal!?!?! Awesome! I would LOVE to have this cake! I would feel so guilty eating it, though. 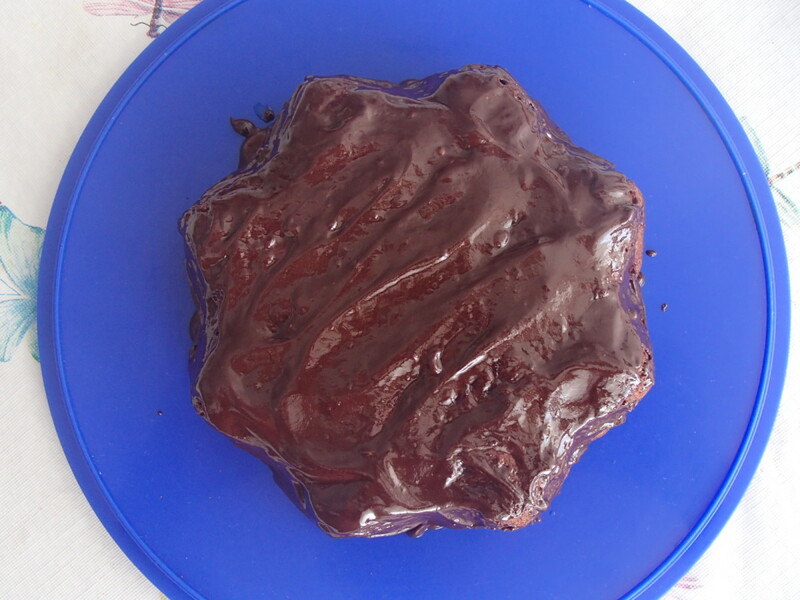 Heck, I'd feel guilty putting the cake in the oven -- how could you subject a companion cube to such heat?! 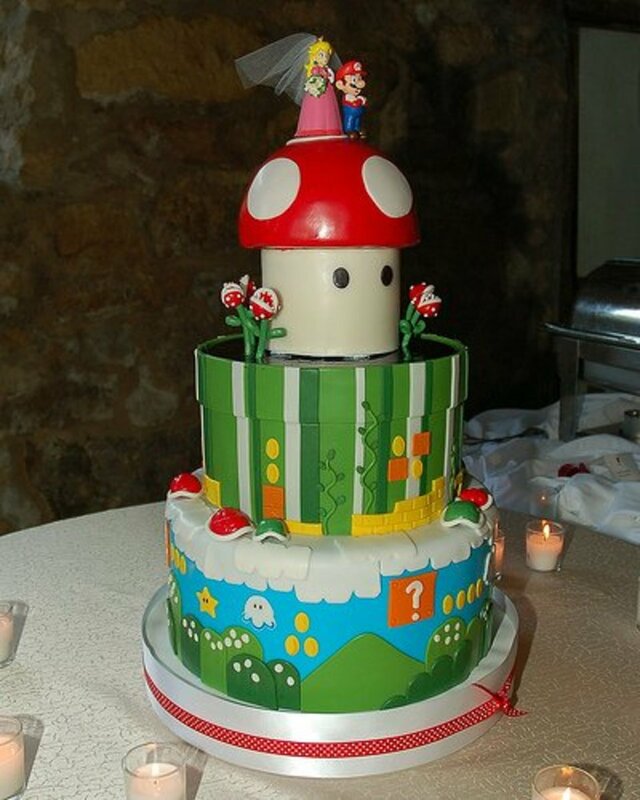 This Mario wedding cake is pretty elaborate! You can tell a lot of effort was put into the design of the cake. I'm not sure which tier I like the best! Gamer geeks? This couple DEFINITELY looks like they own at least *ahem* a few game systems. Miniature fondant game controllers add a fun touch to this wedding cake! 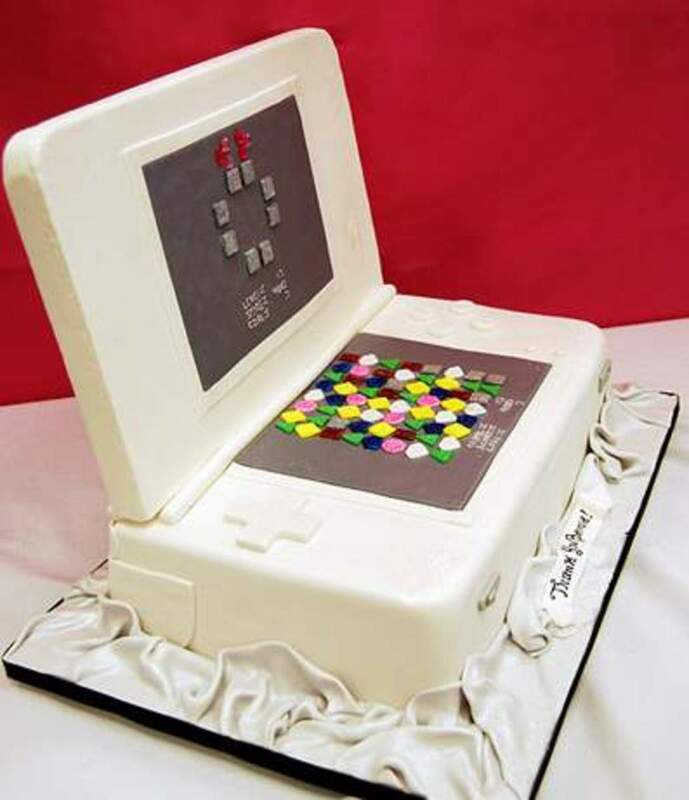 I think I love the video game themed cakes the best. 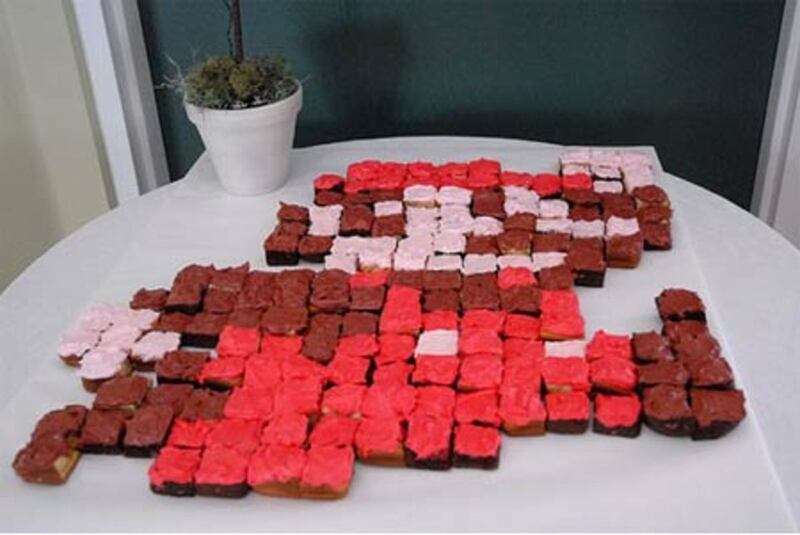 All these cupcakes put together form the pixelated Mario character (old school NES stuff.) Simply genius! The one downfall to this style is that latecomers to the party will wonder what the design is supposed to be (as many cupcakes will already have been consumed.) Still fantastic and perfect for any gamer couple. This is an awesome cake! 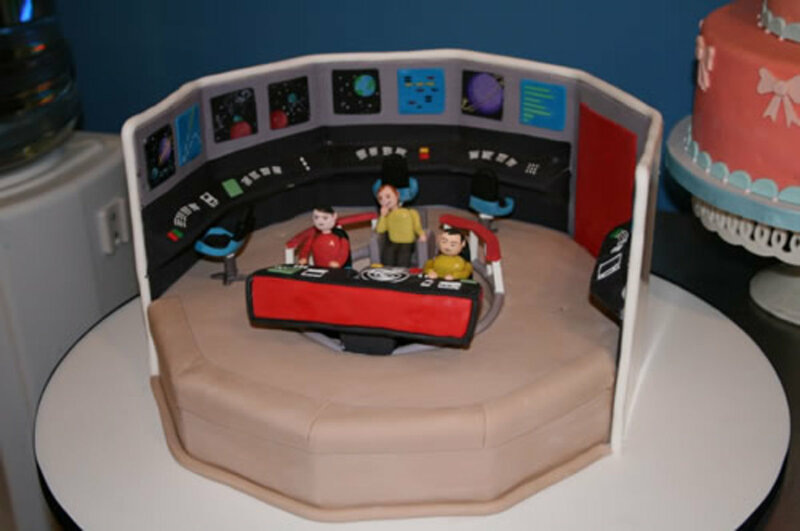 The only thing nerdier than a Star Trek cake is the designing of said cake. I'm talking getting ship schematics here, studying what's on the panels, etc. I'd like to see a Next Generation version! What happens when an Android fanboy meets an Android fangirl? This cake. Hilarious, beautiful, amazing, totally nerdy, and romantic all in one. This is one of my personal favorites. 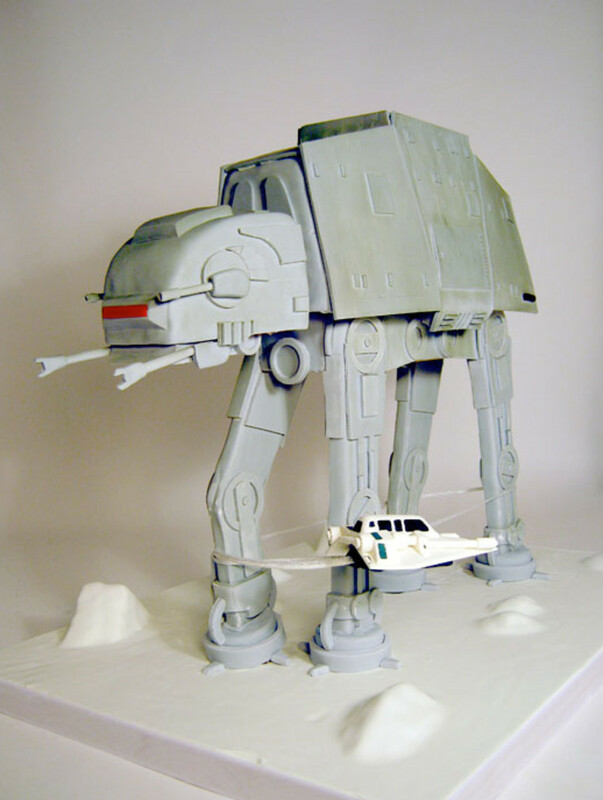 This Star Wars Imperial AT-AT Walker cake reminds me of playing Shadows of the Empire on the N64 (and battling with the horrible camera angle change when you have to knock these guys down.) This cake is absolutely perfectly done. The designer is a really good artist, everything is spot on. This cake is a rendition of the first level of NES Super Mario Brothers. 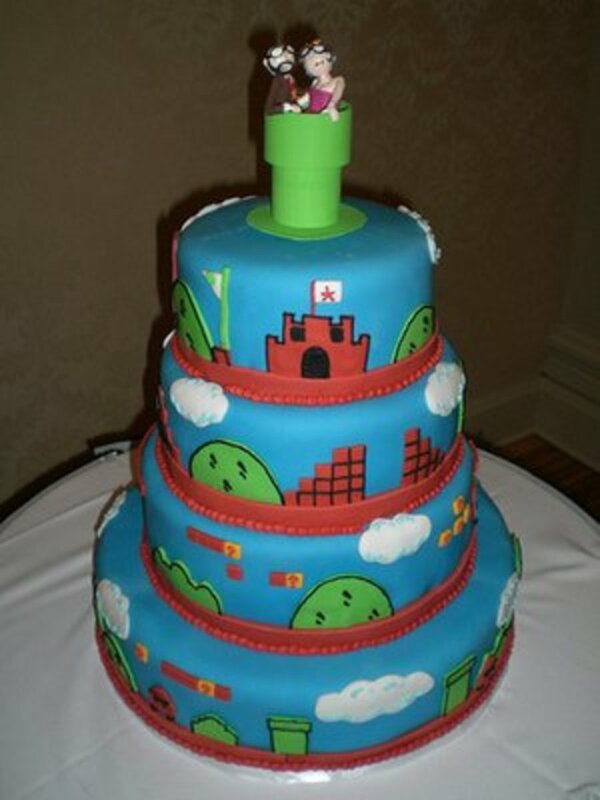 If you look closely at the bottom tier, you can see Goombas... Ah, love is not without obstacles. 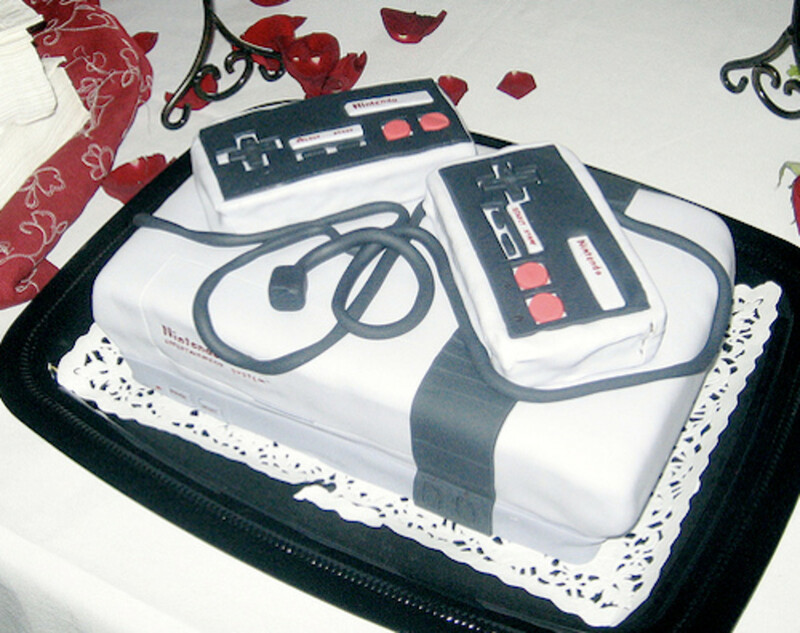 I really love this Nintendo (NES) cake! It's an NES! It'd be awesome if you could peel up some of the fondant to reveal where you insert the cartridge. 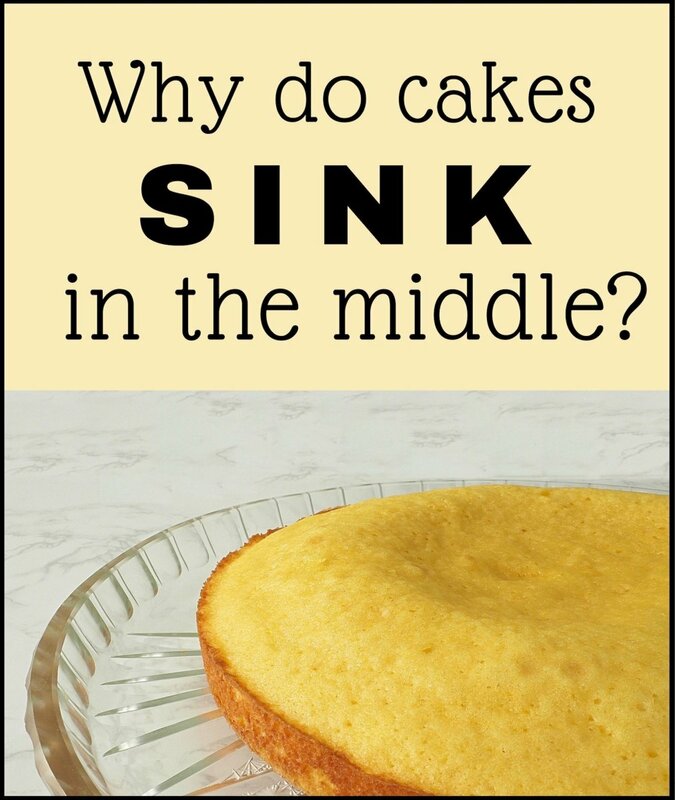 However, you probably get a lot of people blowing into the cake... and that would be no good. 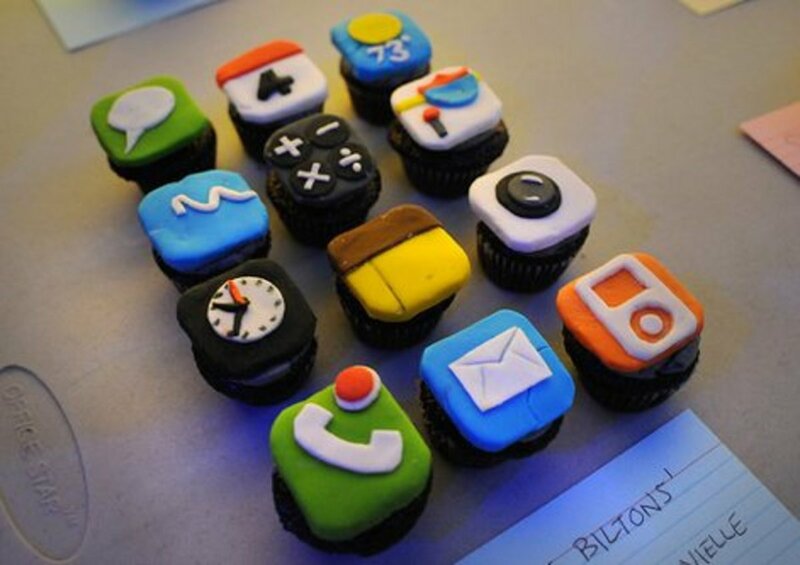 iPhone apps cupcakes = so cute! 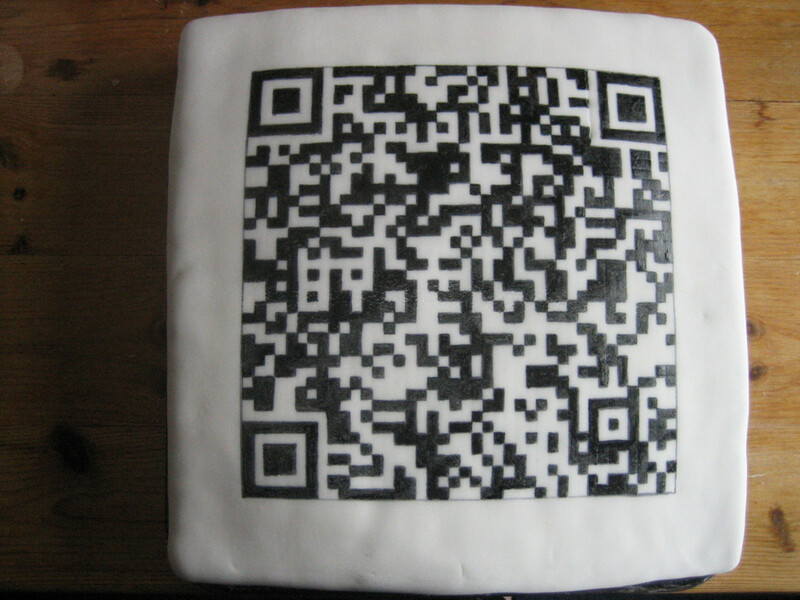 A QR code cake is a great way to get your message across. This QR cake takes you to the Flickr page for the artist who made this cake. Try it out! 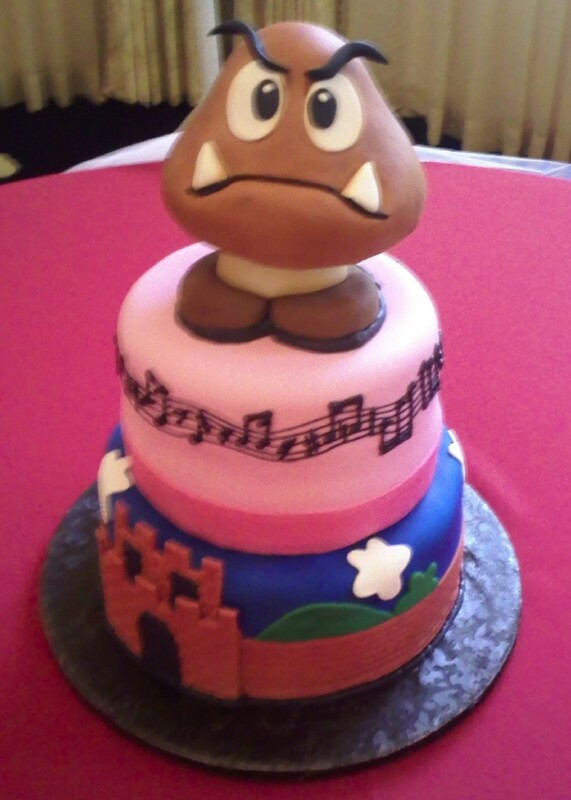 The Goomba on this Mario cake is perfect and actually kind of adorable. I love this cake. Anyone else think the Goomba is cute? I'd like to have one for an evil pet. This Mozilla cake is a really beautiful fondant design. I can imagine it would be awkward to cut and eat (it's essentially a giant ball of cake with probably a thin layer of fondant.) Really cool, nevertheless! 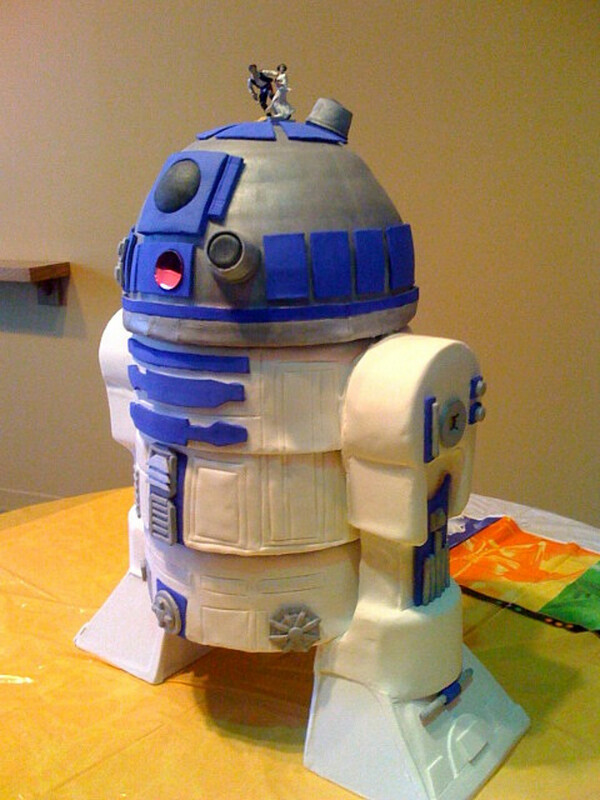 Star Wars fans are sure to love this R2-D2 cake. I'd feel guilty cutting into this one. It would be that kind of cake I would keep in my kitchen for a really long time and never eat because of inanimate object attachment. Then the frosting would get really hard and old. A friend would probably have to toss it out for me. It'd be something like out of Castaway. Okay, not really, but it is an awesome cake. 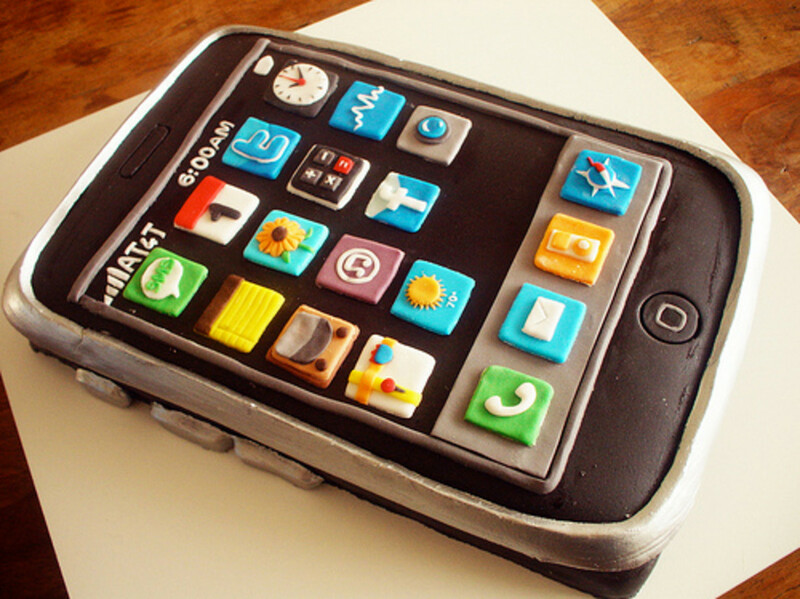 This is another great iPhone cake, but instead of just little apps, it's the entire iPhone. I love it! One question, though. What kind of jerk is texting at 6AM? One ring to rule them all. Now that's kind of a dark sentiment for a wedding, but hilarious and awesome too. I wonder how they got this cake to be so shiny. "Shiny" is kind of hard to do, from what I understand, when it comes to cake decorating (unless it's inedible.) Seriously great cake! 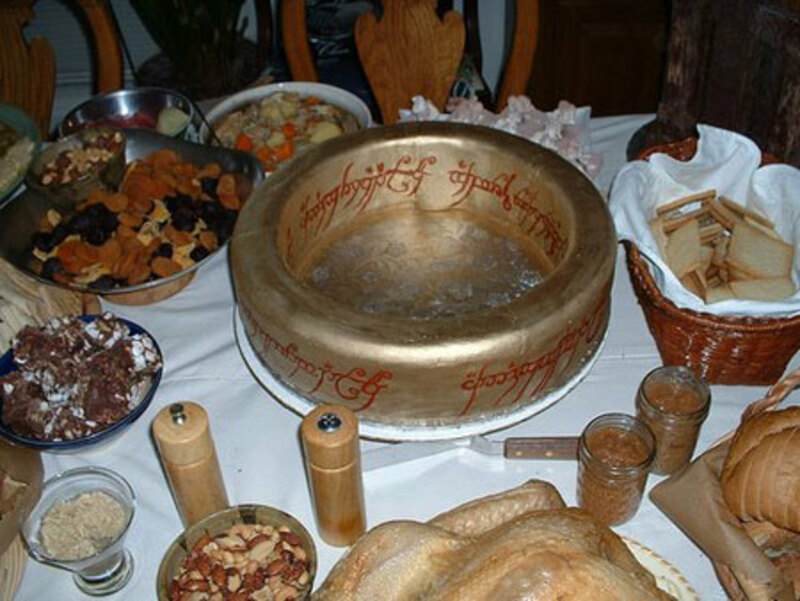 Another beautiful Lord of the Rings Cake. This one is a genius way to incorporate a LOTR theme into a tiered cake. This is more than likely not a birthday or wedding cake (unless you're an obsessed power seller), but I had to include this cake because of its general awesomeness. 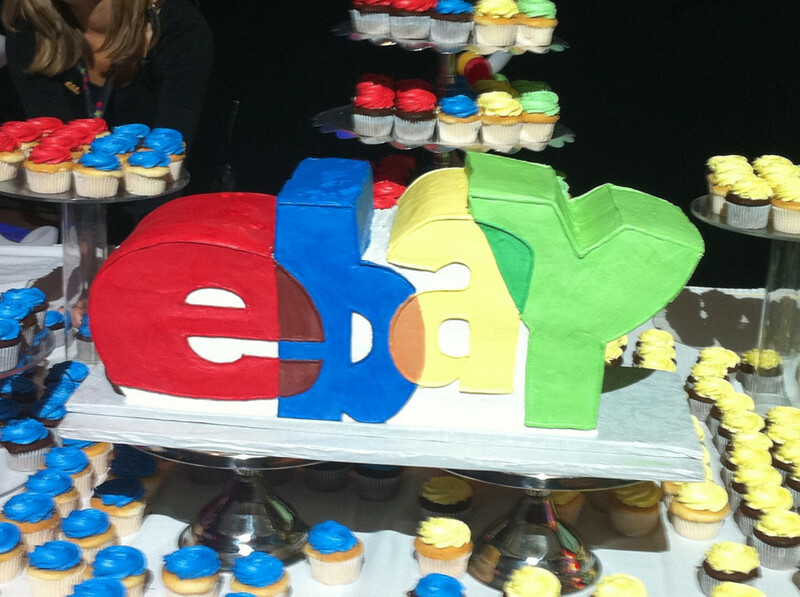 This eBay cake and matching cupcakes look really tasty! 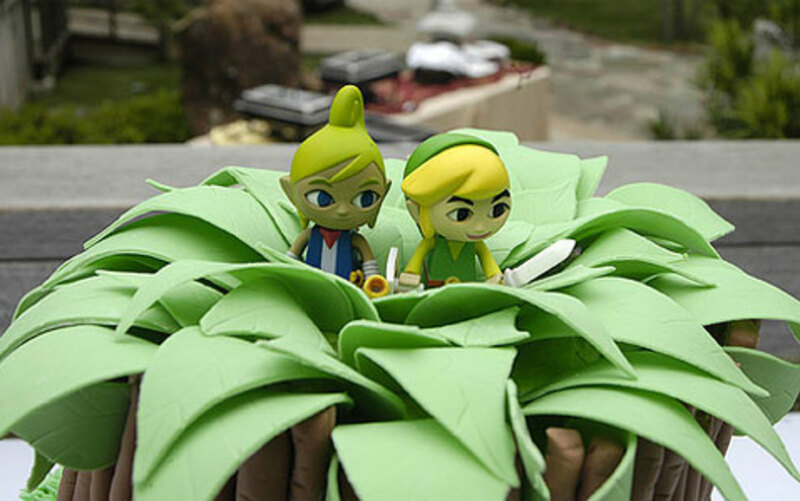 This cake featuring Link and Tetra from Gamecube's Legend of Zelda: The Wind Waker is absolutely beautifully sculpted. It's seriously better than in-game. Real life has much better graphics than Nintendo. 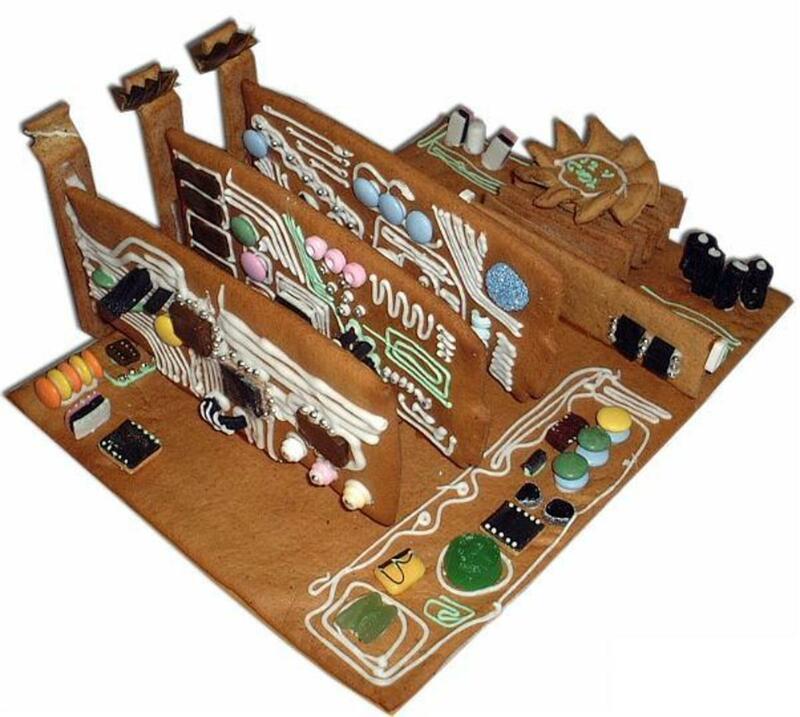 This motherboard isn't really a cake, it's more of a gingerbread um... non-house. It's so awesome, though. The fan alone is stellar. It's probably better than the fan in my computer. 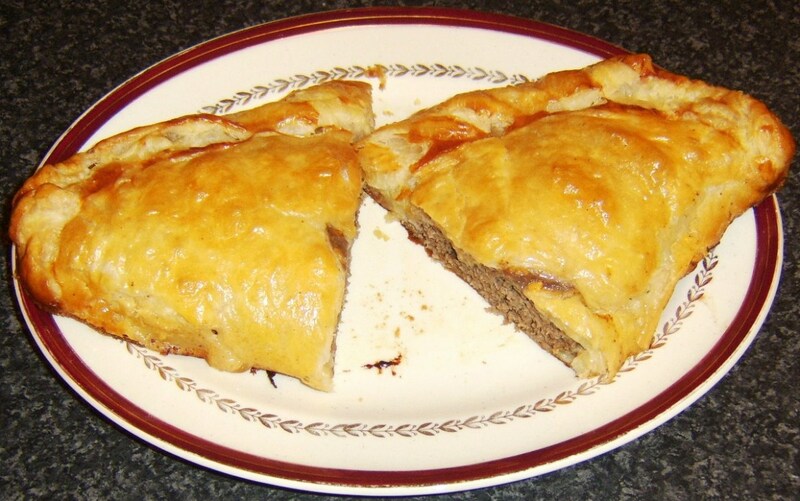 If someone made this for me, I probably wouldn't have the heart to eat it. 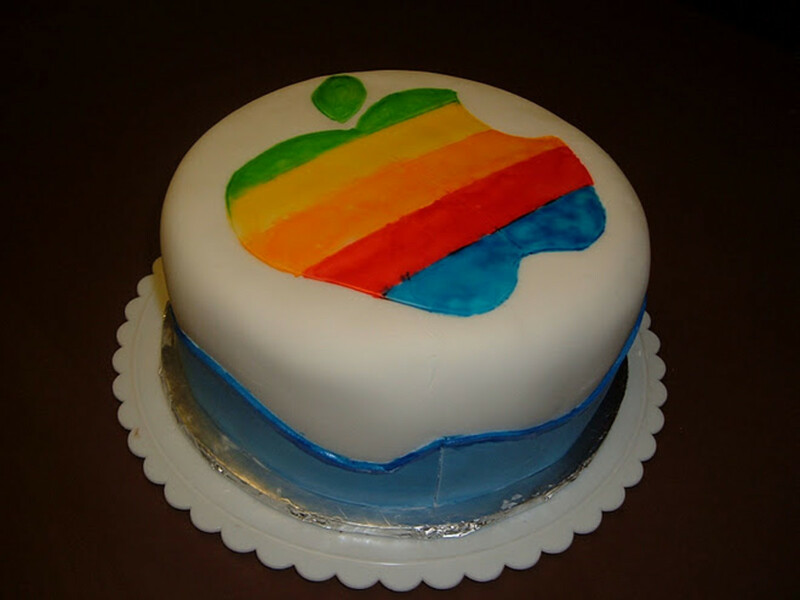 I love this Apple logo birthday cake, especially since the logo looks like it's made from that kind of clear frosting they use sometimes on kids birthday cakes... also known as "the good frosting." 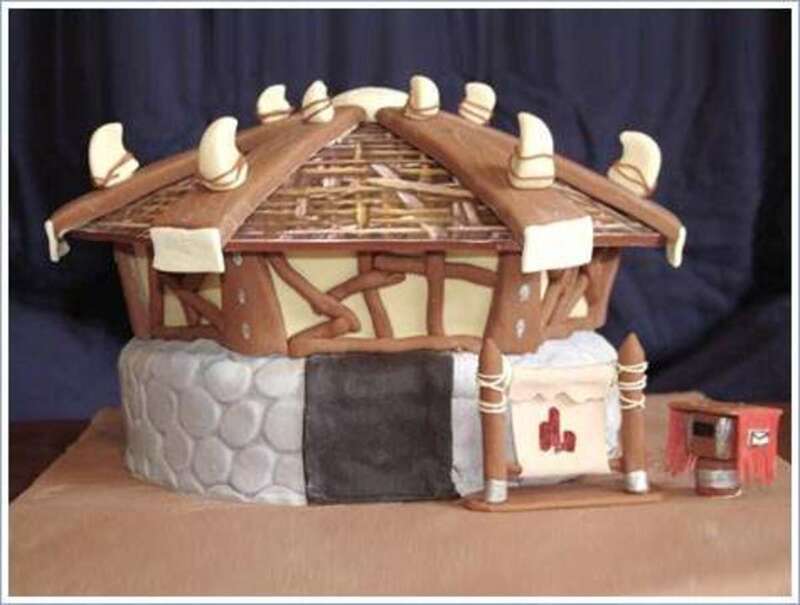 Uber nerds from the horde side in World of Warcraft will love this Orgrimmar auction house cake. I spent many an hour in this auction house, peddling my wares before switching to the alliance side. 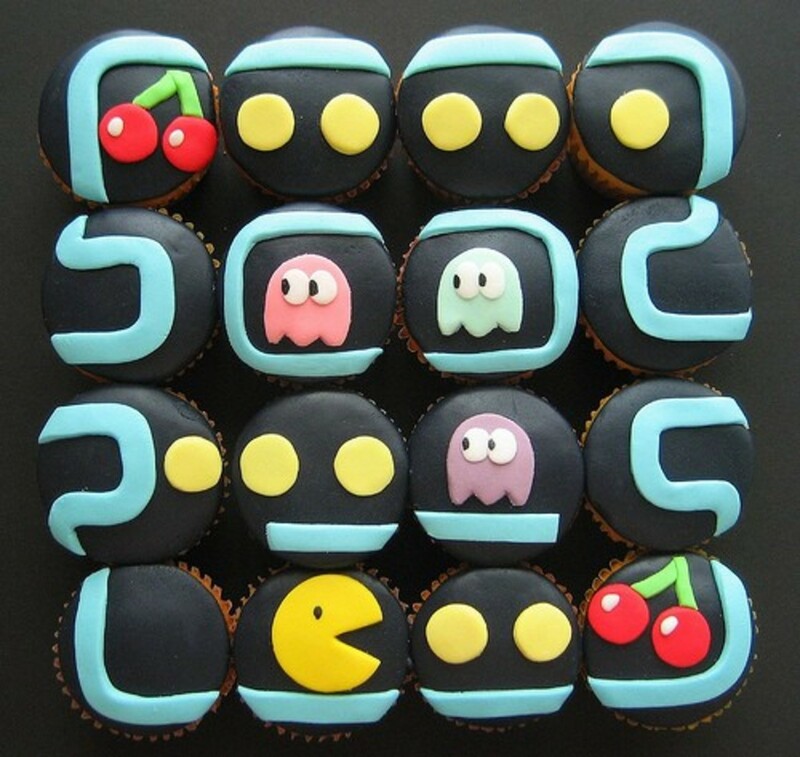 The fondant on these Pac-Man cupcakes is perfect. If you're looking to turn these cupcakes into something a little more suited for couples adding Ms. Pac-Man will definitely do the trick! Would you have a nerdy theme wedding/birthday cake? I'm not sure. It would have to look awesome! It was enjoyable to look at all the cake photos. 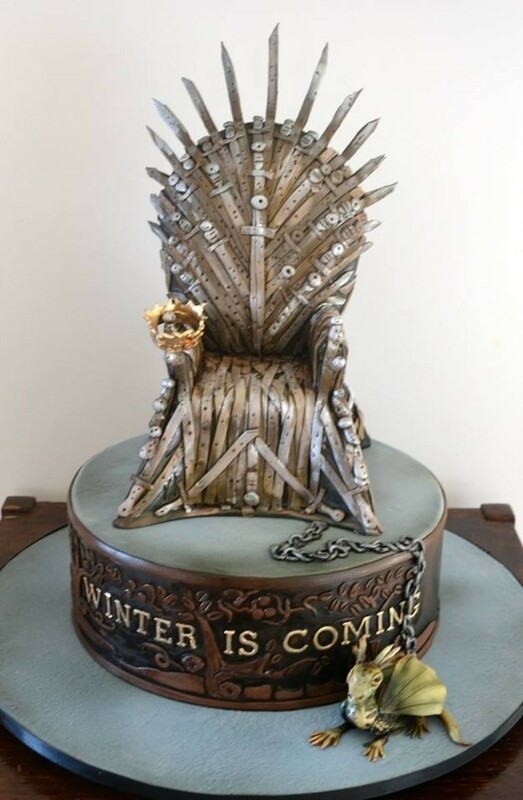 It was the Game of Thrones cake that drew my attention to your post. It had a kind of steampunk feel to it. Some fantastic designs here - I'll have to get a bit more creative in my kitchen. Great Hub. Voted up. 101% in the poll, what is this?!!!! It's hard to choose a standout cake there. 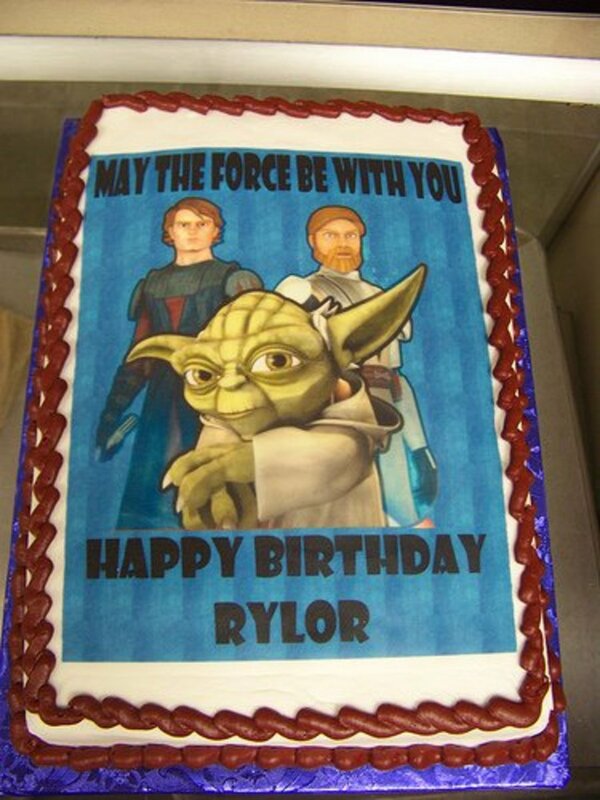 Really, each of the cakes are very interesting and beautiful -- well except for that gross one with Luke Skywalker. 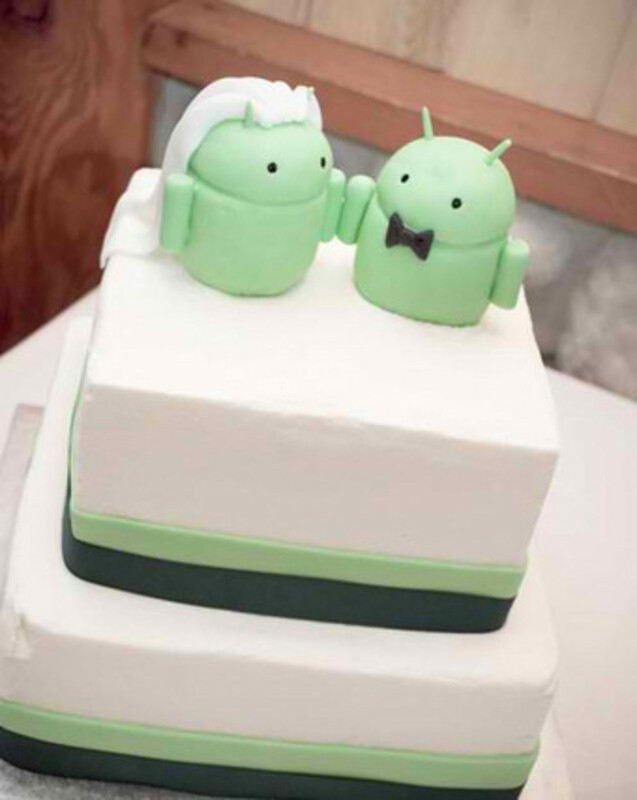 If a girl and groom are both Fandroids then they shouldn't think long and hard for their wedding cake. The motherboard cakes are really interesting too, especially that one which uses wafers. This is an awesome selection of cakes! I spent a long time browsing them. Love it! Thanks for sharing this really creative idea with us. Have a great night! Wow this article is just full of nerdy fun. I especially liked the gingerbread motherboard! Wow! These are some amazing cakes. I think you could easily change them into birthday cakes. This is so sweet. 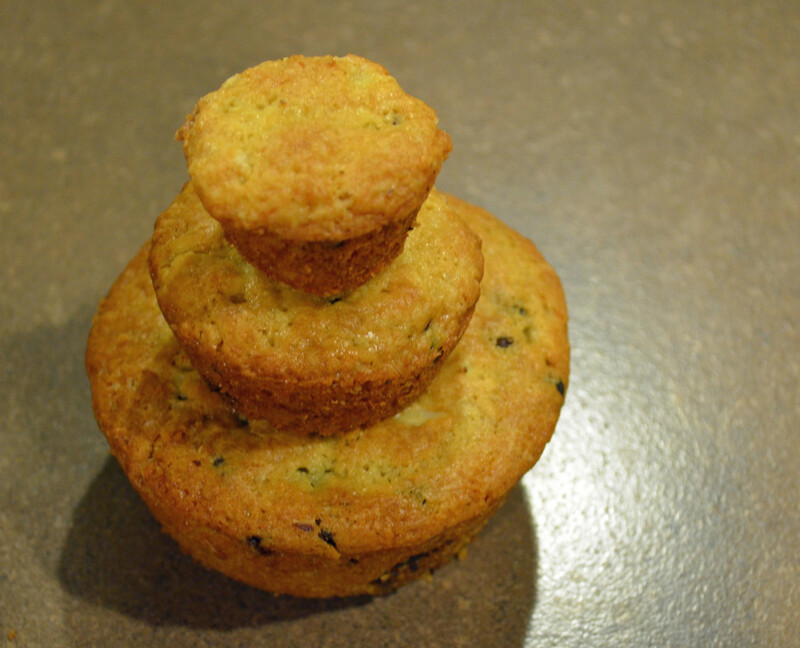 Being of the gamer/geek, these are some awesome creations of bakery goodness! Great Hub and very impressive cakes! Great cakes: I'd like a Dungeons & Dragons cake please or as they "D&D". These cakes are great! Thank you for sharing them! As a self-proclaimed nerd, I think my favorite is the pseudo-code cake. These cakes are great! I had an Alien cake made for my husband as a groom's cake. It was black and had two little aliens bursting out the top. One wore a black top hat and tux and the other a veil :-) No one else at the wedding knew what was going on, but he loved it. Really fun topic! Nice to see we're not alone! The pixelated Mario character is AWESOME. That would actually be something that is probably pretty easy to recreate. Great hub! Great hub with so many wonderful cakes. They are really great. What a great job you have done putting all these cakes together. Lots of talented people out there. Very cute pictures. Really enjoyed this inspiring and playful hub, thank you. Haha, I love the Orgrimmar auction house. I could never do a cake like this for my wedding, but I enjoy looking at the creative masterpieces that come to be. It reminds me of the shows they are producing on the food network and such. Even the creative cup cakes are getting popular. 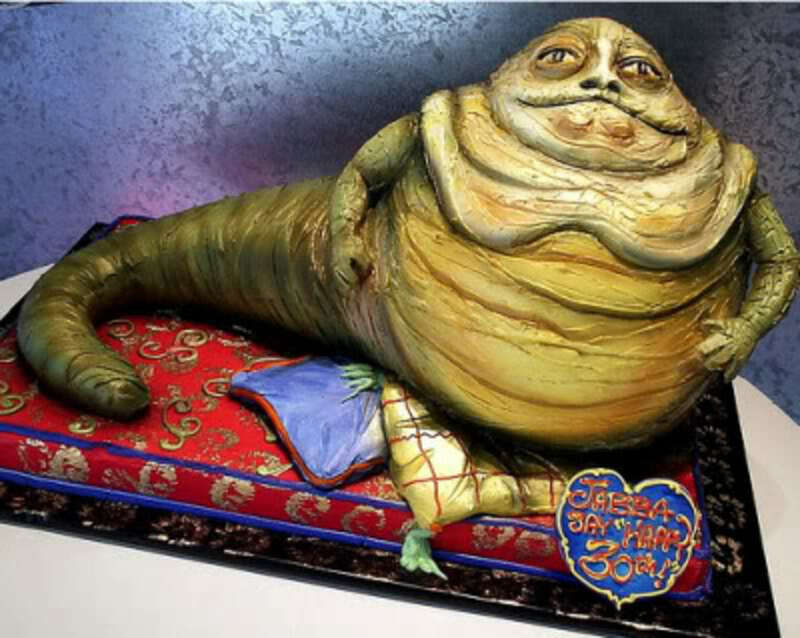 Love the Jabba the Hut cake! Looks really like Jabba, ugly. So I guess the cake decorator did his job well. A Tardis cake....I love it! A great groom's cake idea! Absolutely must have a scrabble cake and a pacman cake. Love them. This is a marvelous collection of cakes for the nerdy and geeky. I guess I must be in one of those categories is I am wanting them so much. O, well, Accept it I will and move on. Absurdly fantastic. Best hub in eons. Just amazing cake pics. Well done! It's so much fun. Voting, sharing and pinning if the buttons show up, (not here!). I'll come back and do it though, promise. This is a great hub. I loved the Nintendo Cake. That's a great idea for a kid! Holy Cow! This is awesome! I'm sharing everywhere!!!!! Incredible pictures, I loved this hub! Shared! 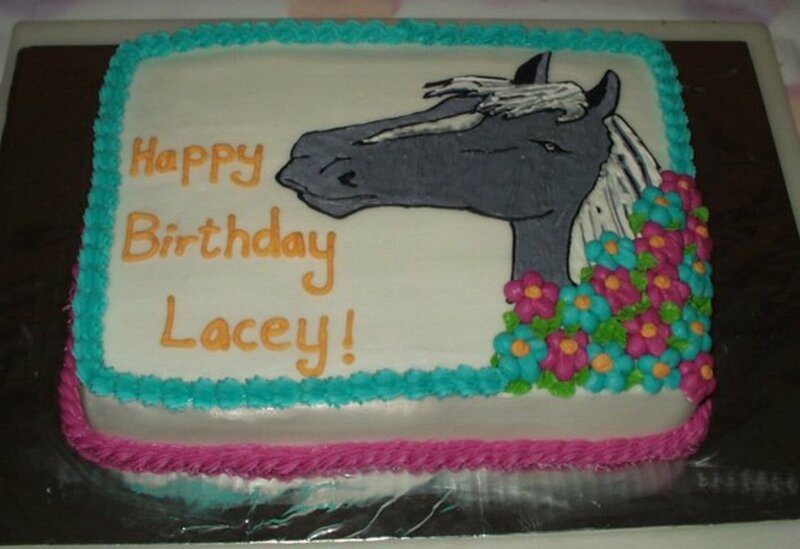 I would recommend asking your local cake bakery. They PROBABLY won't be able to make something as cool as an R2D2 cake, BUT they can point you in the direction of someone who can. This is what I did to find a baker for my wedding cake since the only baker I found didn't seem to do anything particularly cool with fondant. Good luck! I really love the R2D2 and have to get one made for my son. can nyone point me in the right direction of who to contact in the London, Greater London or U.K. Midlands area? Your help is invaluable. Many Thanks. Loved these!! I love the creativity that goes into wedding cakes, and these are adorable! I saw that! Pretty nifty idea, really! Melanie! I don't know if you ever got the QR code to scan, but it points back to the original Flickr set including said cake! HAN MABUKI! Jabba cake is awesome! The tauntaun one is kinda gross. Coolest one is the Star Trek bridge. nice work Melbel ! I Love the xkcd and angry bird cake but they are all awesome. Awesome cakes I love Super Mario one great hub voted up. Terrific! I've got two nephews (both are evidently in the Nerd High Command) I'm sending a link to this hub. They'll probably want one of each. the Mozilla, Ebay and Iphone cakes got my taste! These are good ideas for a kid birthday! Wow, these cakes really are works of art. Some have so much detail that they don't even seem edible. The angry birds one is funny but I really liked the rubik's cube and Firefox ones. The LOTR cakes are my favorites!! Nice hub! OMG, the AT-AT cake is awesome! Thanks for the great article Mel! These cakes are so creative, love the Zelda and Apple ones in particular. Great hub! Awesome job compiling this. Is it bad if the theme song to Star Trek or the song for the Mario Brothers popped into my head when I was looking at these cakes? Coolness! It's equally bad, I'm sure, if I'm thinking that for the next cake I make, I want to try my hand at making Pac-Man cupcakes or Pi or a tricorder. Hahahaa. Great hub! Lots of fun! I love this hub! Super unique and very interesting! Voting up and sharing! Excellent hub, very interesting, unique topic.Some must have taken hrs!! Voted up. shared on fb, etc . . . This hub is truly magnificent, nice to see something totally original and the cakes you have displayed are mind blowing, what a talent people have to make these. I am going to have to look for a startrek one like that for my Dad when his birthday comes around this year. Thanks so much for sharing! These are brilliant! I want one, especially that zelda one, tis adorable. Amazing! I'd kill for the psuedo-code cake. I can't program at all, but my SO would love it. LOL! We live in Nerdville. We have friends that live "The Big Band Theory" TV show. Great Hub. These are truly amazing - far too clever to eat. I think I would keep mine until it went furry! And for the first time I've learnt how to 'share' a hub ... how cool am I, dude (finally)! I love all the nerdy cakes! Great hub full of great nerdy cake ideas! Love the iPhone one! Creative! Voted up! What a fabulous hub!!! Voted up. Totally love it! Thank you. What a fun hub! And great pictures! Oh these are fabulous, voted up and loved. 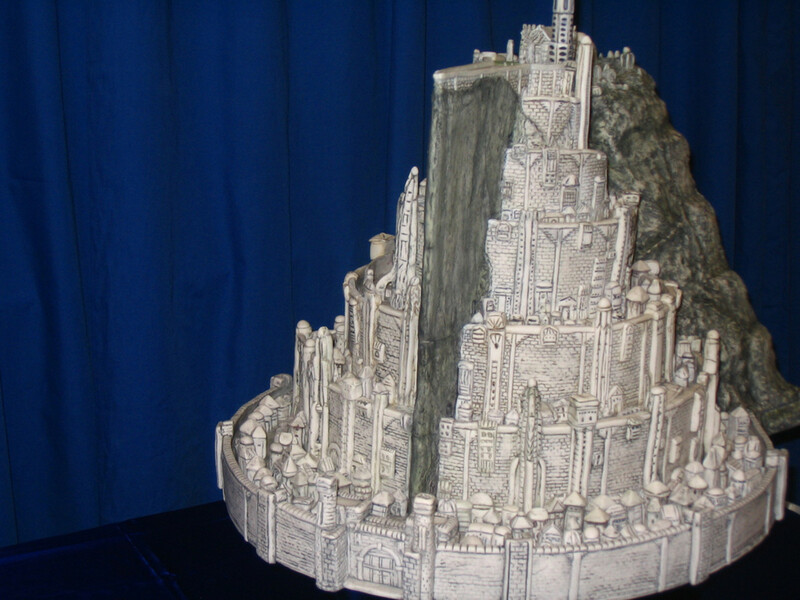 I love the XKCD cake and motherboard cupcake, but my favourite is by far the Minas Tirith layered cake - simply stunning! I love these! Voted up & interesting, and I shared with a bunch of friends (not that they're nerds or anything). Wow, this was a fun article to read and look at. 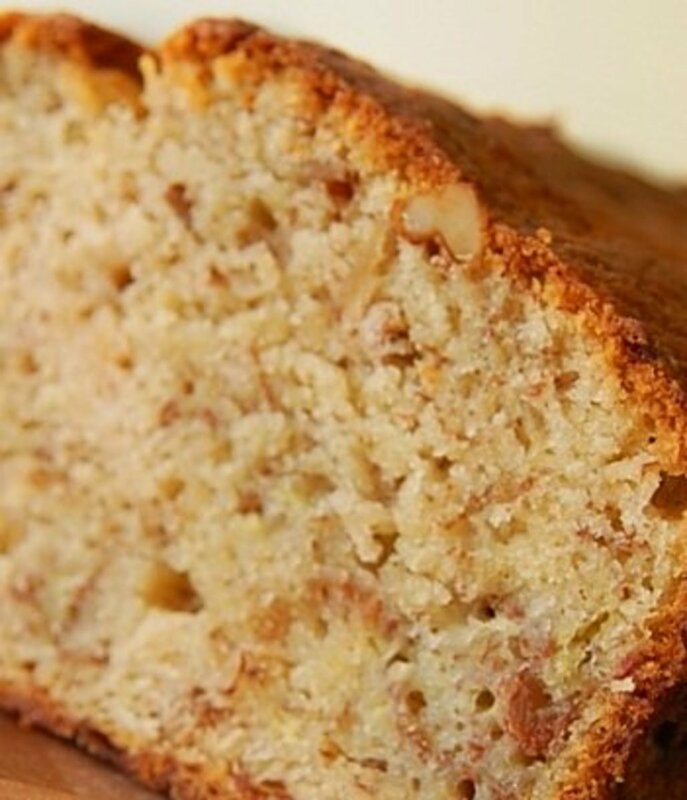 I agree that you need to do a step by step article on how to make some of the best of the cakes. Very interesting and fun hub. I thought the pokeman was pretty cool. Some of them were really gross and I can't imagine eating something that looks so icky :-0 I hit every button. How FUN!! Loved the Star Wars cakes with all the details that went into them, very cool. I must be the biggest nerd on the planet then because I love every single one of these cake designs :). Wow, that's a really neat hub. Great captions to followup on all those great pics! Ok that looks good. I am so impressed at these bakers who are so daum good. I burn my freaking water LOL .... ok not that bad but wish i was a better cook and i need to learn how to bake. Some of these are soooo well done! The sackboy cake especially. That takes some crazy good talent! 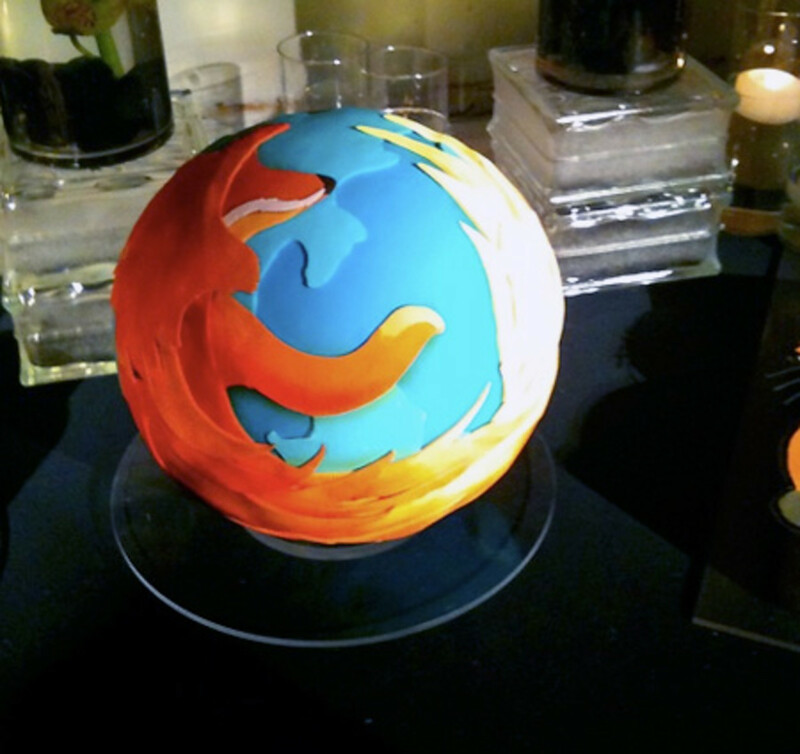 My favorite is the Firefox cake, it looks so real! Unfortunately it seems like most of these cakes are fondant- based, which my hubby explicitly nixed for our own wedding cake. However, I love these really funky ideas, they give me ideas to think about for future cakes. Thanks for sharing, this is an awesome hub! Loved this share. Thank you! Angry birds, priceless. They all look so tasty, but I wouldn't want to eat them because I wouldn't want to ruin them! I enjoyed looking at them. I make cakes for a living and always enjoy looking at other cakes. The stuff that makes the fondant shiney is called pearl dust. love the pearl dust until it gets on your fingers, its so fine that it sticks to skin like crazy.